Stuart Sweet isn’t the only one who can’t rant over here at the Solid Signal blog. I can get in a yank as well, and I’m in one after I heard the latest news. Netflix is raising the rent. By March 31st, every subscriber will pay $2 more each month for Netflix’s standard, basic, and premium plans. That’s an additional $24 per year to watch its growing list of original series, some of which seem to be more mediocre by the month. When I heard this, it made me seriously reconsider whether I want to continue this service beyond July. (Stranger Things season three debuts July 4, 2019, after all.) And yes, I realize that I’m starting to sound a lot like Stuart Sweet, as much as I hate to admit it. My friends all say, “Take it easy, Jake! This is only the second time in five years that Netflix has raised its prices.” Maybe so, but every dollar counts for work-a-day shlubs like yours truly. Mrs. Buckler and I will be spending a total of $155.88 per month for Netflix entertainment. Keep in mind, we also have Amazon Prime, HBO, and Showtime. Then again, I might be saying that because we’re in a weird place between many of our favorite shows. Right now, The Punisher season two is the main Netflix attraction at Casa del Buckler. When you look at it that way, it would seem a huge waste to spend so much money each year for just one program. But Netflix doesn’t just deliver one program. Prior to starting The Punisher, Mrs. Buckler and I have also enjoyed 1983, Call the Midwife, Grace and Frankie, Atypical, Wentworth, GLOW, and other shows. And anyone who reads this blog knows I’m counting the days until the Stranger Things season three premiere. I’d like to stand upon my platform of “Netflix is the king of original content” that I’ve stood so proudly upon in the past, but now I’m not so sure that’s the case. Sure, Netflix had the most original content in January 2019, and will likely continue that trend. Unfortunately, not all of these shows are compelling. There have been more than a few flops, including the second season of Making a Murderer. If Netflix is going to keep raising the rent to create content like that, it will have me considering the nearest exit door. Truth be told, Mrs. Buckler and I are interested in more shows than we’re able to watch. Our TV time is relegated mostly to after the kids go to bed, which is sometimes a bit later than we wish. We’ll start out a show with the best of intentions only to wake up at two in the morning and the show playing on TV, many episodes ahead of where we dozed off. Such was the case with last Sunday’s episode of True Detective (HBO). Good thing we DVRd it and were able to get caught up on what we missed. This falling asleep to our favorite shows brings up a good point. If we’re just going to keep dozing off to even the most exciting shows, what’s the point in paying more for Netflix? At the rate the streaming service is going, they’ll soon reach the “infinity loop” that SNL joked about. Even with DVRs and infinite playback possibilities, there’s just no way the Bucklers can keep up with all of that content. At some point, something will have to give, and that thing could end up being Netflix itself. There’s no sense paying for something that we don’t have enough time to enjoy, right? More than once, I’ve flirted with the idea of going complete cord-cutter. By that, I mean cut off most of my costly streaming services and get all my entertainment from my TV antenna and the Sling TV subscription we got with our AirTV Player. Okay, some might say that this solution isn’t “true cord-cutting,” but it’s as close as I’m likely to get with a family that enjoys a variety of national programming. This includes me, of course. We’ll see, though. Like I said earlier, I’m not making any decisions until I see my favorite series, Stranger Things season three. Rant over! Do You Want the Ultimate, Affordable TV Experience? If you said “yes,” then you should consider the AirTV Player with a Sling TV subscription and a TV antenna. For those who don’t know, DISH’s AirTV Player is a streaming device that works with a TV antenna to bring you some or all of the free local TV in your media market. By choosing to add the Sling TV option, you can also watch a huge variety of national TV programming. You can even add Netflix and other paid streaming services. Best of all, AirTV Players takes all of this programming and puts it on one easy-to-use menu. You can even cast all of these shows, including your local TV, to your tablet of phone and watch it wherever you go. If you’re considering cutting the cord, you don’t have to limit yourself to just free local TV. Not when you choose a DISH AirTV Player. 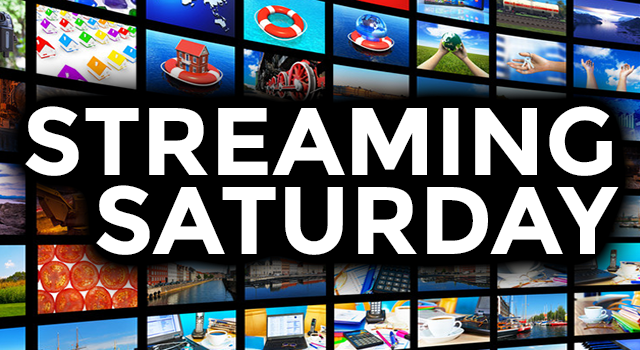 To learn more about this amazing streaming device, give our reps a call at 877-312-4547. If you don’t have time to talk on the phone, just fill out this form and click “submit.” Someone from our team will get back with you. NICE AND EASY: Do you need a Google account for the AirTV Player?